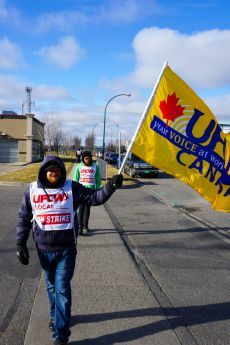 Moose Jaw and Saskatoon, Sask. 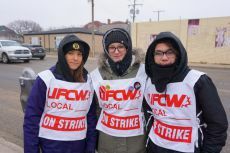 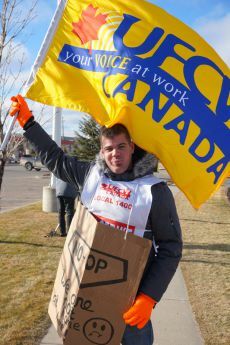 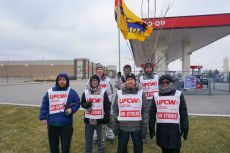 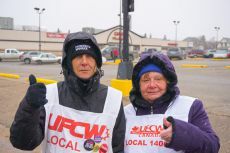 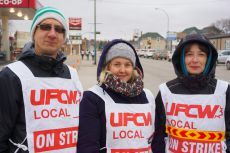 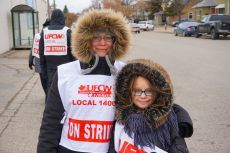 – November 5, 2018 – UFCW Canada Local 1400 members on strike at Saskatoon Co-op and Moose Jaw Co-op are holding the line strong, with support from the public and UFCW activists across the country. 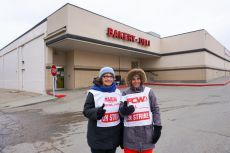 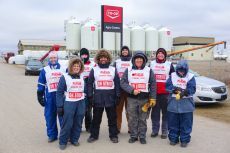 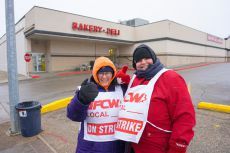 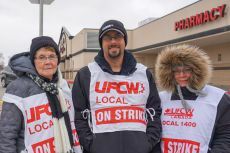 The strike at the Moose Jaw Co-op began October 2, as about 200 members hit the line at Moose Jaw Co-op grocery stores, gas bars, and hardware stores across the region. 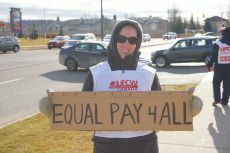 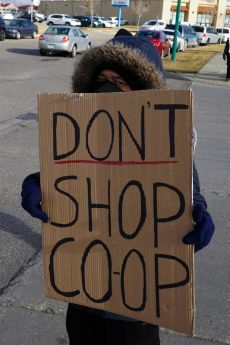 On November 1, the more than 900 members at Saskatoon Co-op also went on strike after rejecting a final offer. 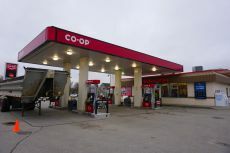 The two Co-ops are different employers but the primary issues in both strikes are management demands for a two-tiered wage system along with other rollbacks and concessions. 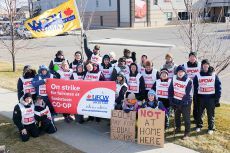 Co-op management in both Saskatoon and Moose Jaw have attempted to keep the locations open, but the strong picket lines, and tremendous public support have kept the locations mostly empty. 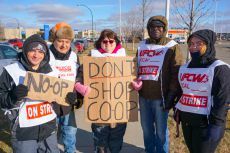 “Until the strike is over, we’re asking folks to please shop somewhere else until Co-op workers get a fair and equitable deal,” says Brother Neault. 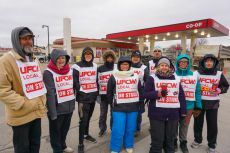 “The members are strong, they’re backed by the National Defence Fund, and they’re determined to get a fair deal that doesn’t bargain away the values of the co-operative movement that built our communities". 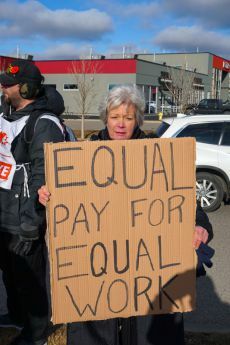 Take action. 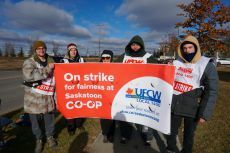 Show your support for fairness by sending a message to the Saskatoon Co-op and to the Moose Jaw Co-op and tell them to respect the principles of the Co-op and the people who work there.